We keep celebrating the album Like A Prayer this weekend by traveling back in time with some memorabilia that I’ve have randomly take out from my cd and vinyl collection. First of all we take a look at the original Like A Prayer album on cd. The booklet was also scented with Patchouli Oil like the vinyl album and it contained the “Facts About Aids” leaflet that aimed to spread awareness about the disease. 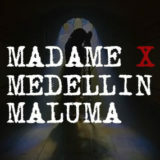 The original catalogue number on the spine of the cd is also different (shorter) compared to the contemporary reprints and the song song that is now called “Pray For Spanish Eyes” was credited with the original title “Spanish Eyes“. 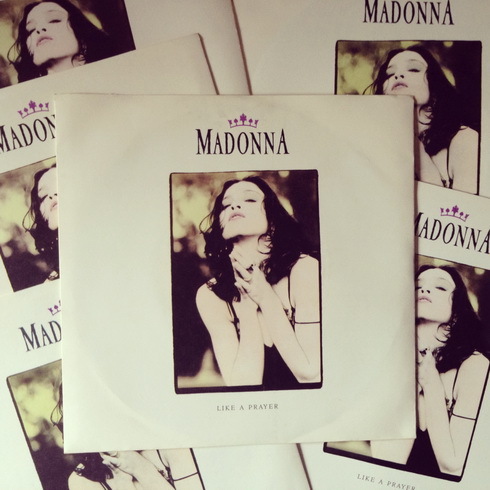 Like A Prayer, the single, was of course issued on vinyl at the time and here’s what it looked like brand new in stores in 1989! 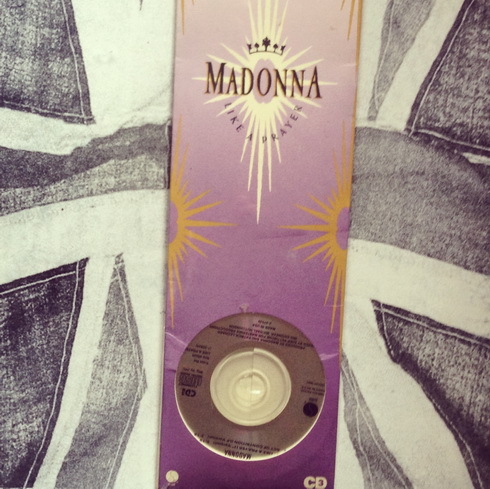 The United Kingdom has always produced amazing limited editions for Madonna singles. 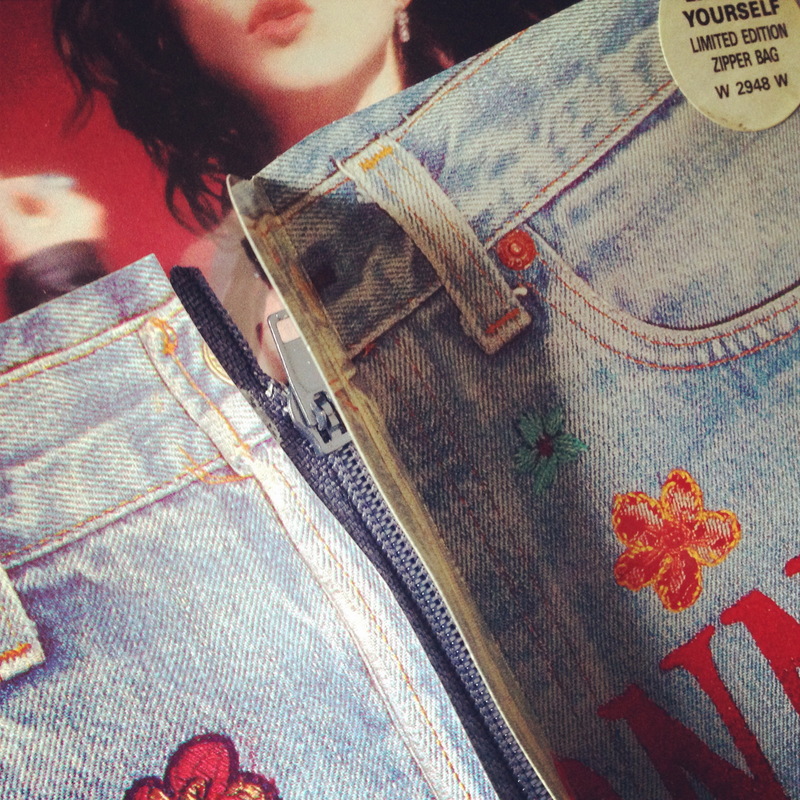 When Express Yourself the second single from Like A Prayer came out, they came up with a zipper pack, a card jeans cover with a real zipper containing the standard UK single and also a limited edition fold out poster sleeve (both shown below). 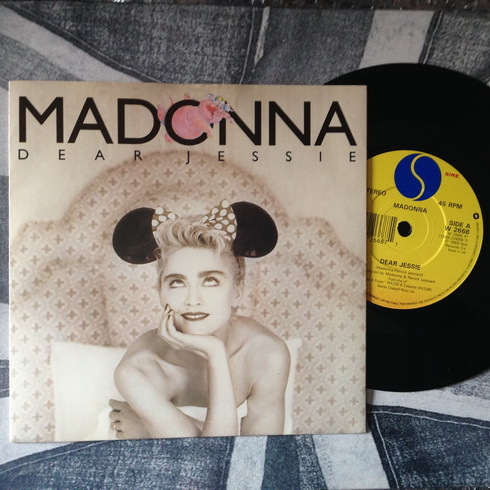 Warner UK decided that the best choice for a Christmas single in 1989 Like A Prayer was the light and lovely Dear Jessie instead of the dark Oh Father chosen at almost the same time for a US release. picture disc cd, which has become one of the most rare and expensive Madonna cds ever! 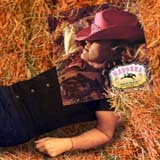 1989 was also the year in which cds started to become popular, so even the singles started to come out in cd format. 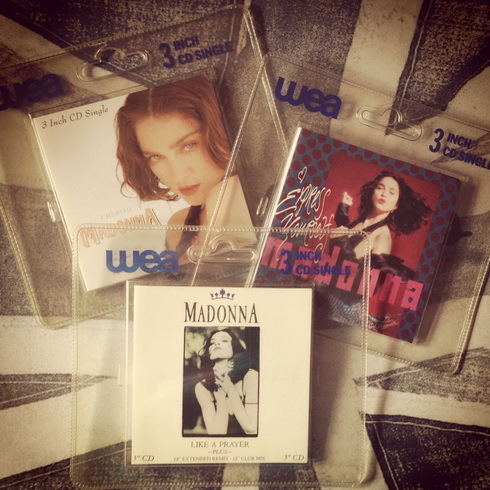 Japan was ahead of everyone, with the long box 3″ cd singles that became very collectable right away, but also Warner UK and Europe tried to format for the first three Like A Prayer singles (second photo below) but then switched to 5″ cd single that we have learned to know well with the fourth single Dear Jessie. 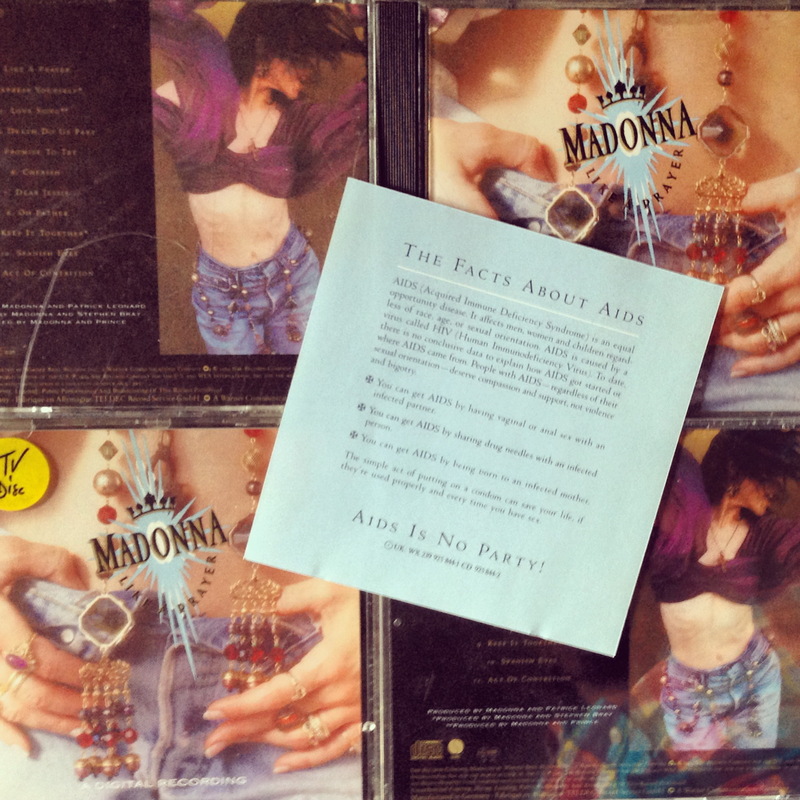 The US tried the format too with Like A Prayer, issuing a now very rare 3″ single in a very long card box. 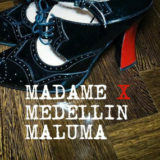 The cd contains a fade version of the song that apparently is only available here on cd! With Like A Prayer the United Kingdom also innagurated the Cassette Singles, or better, the Cassingles! 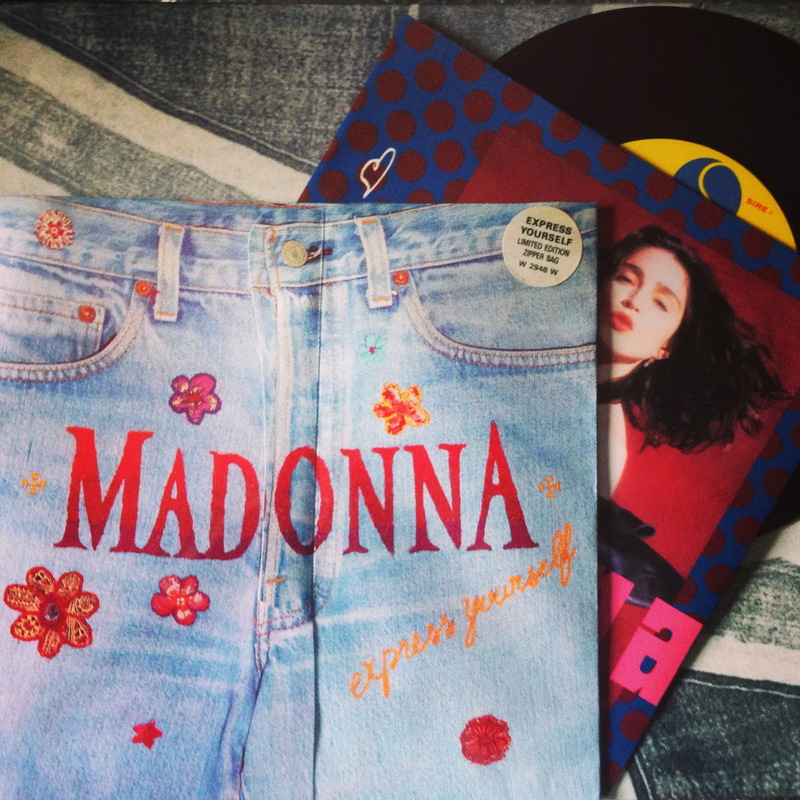 The first one, Like A Prayer, contained 3 songs as the 12″ single, but from Express Yourself onwards the cassingles were a replica on tape of the 7″ vinyl single with the side A and B songs recorded on both sides of the cassettes! 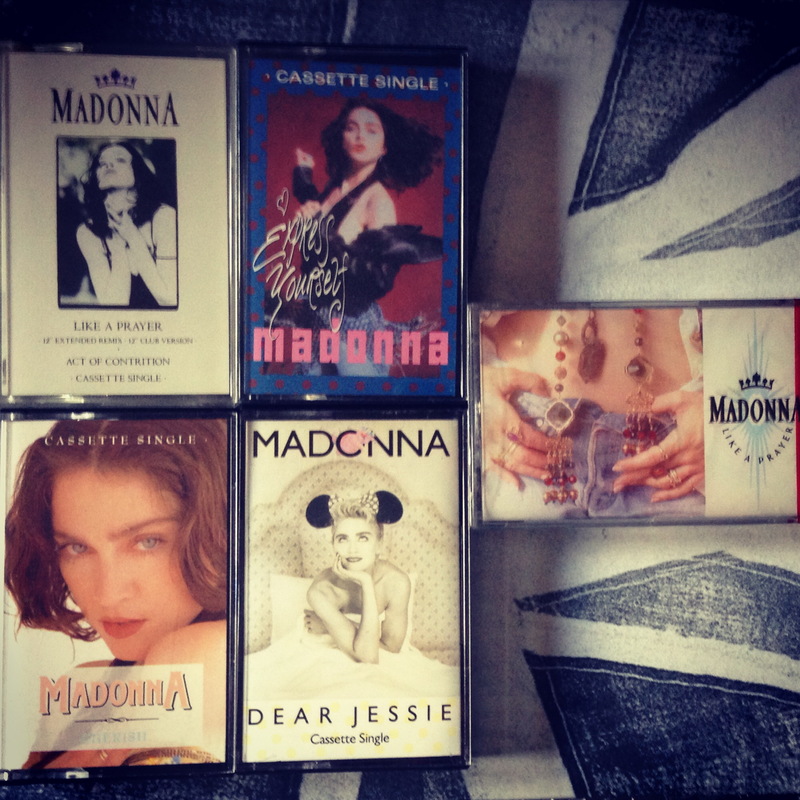 The Cassingles enjoyed quite a good and long life as the last Madonna cassingle was Die Another Day in 2002! 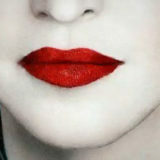 To wrap up this article today let’s go to France ooh la la! 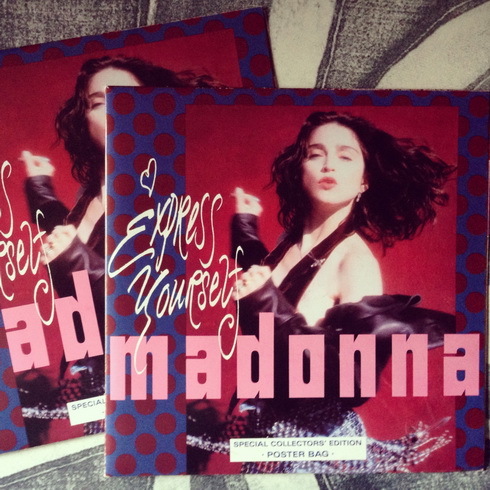 Warner France had always the chance to change, shake, twist and twirl single convers as the rule was to always have a straight horizontal title on the cover that could be easily read. 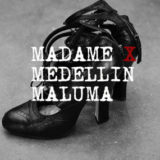 So basically all the Madonna covers that had vertical or small titles were corrected to horizontal and bigger lettering titles. 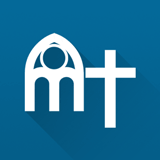 For Oh Father the last single in France off Like Prayer, they didn’t use the US cover but the one that was conceived for Keep It Together (the last US single) and adapted it to Oh Father and you can watch the result below! Stay Tuned for more Like A Prayer collectables!